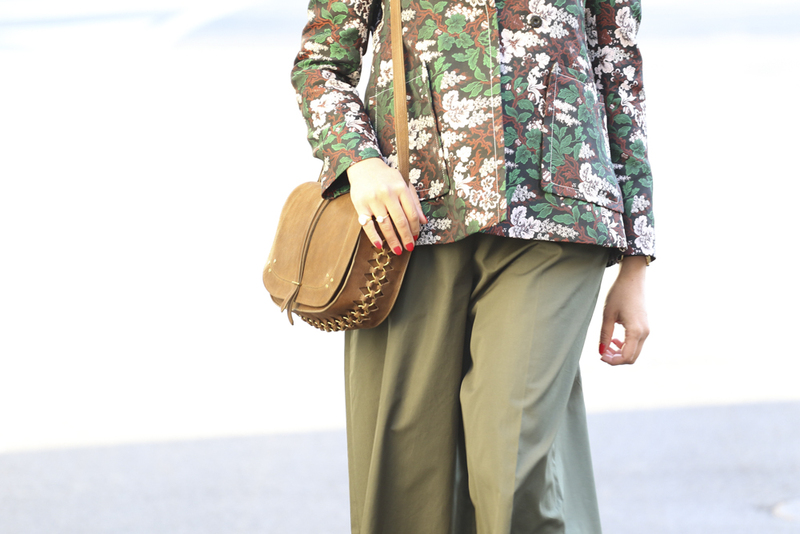 Two of the season’s must-haves together at last: army green with flowers. 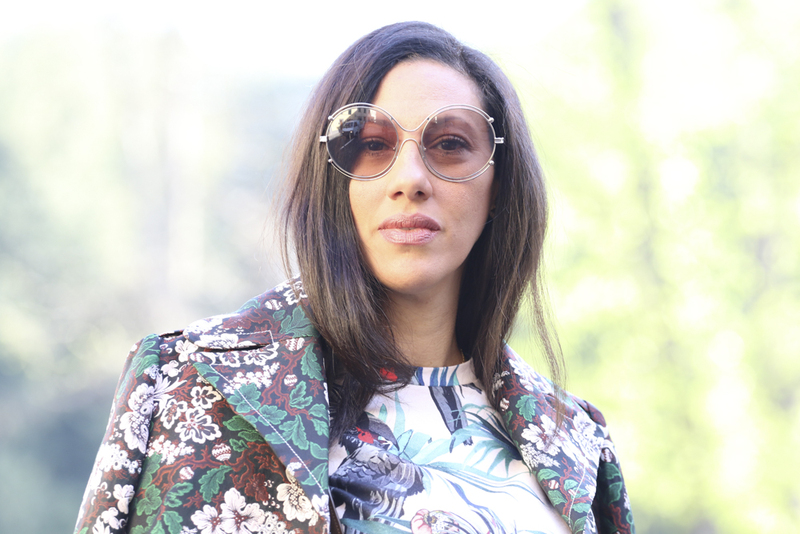 Yet special flowers, all over the jacket in a very seventies-style cut and design.I love the seventies look, I’m even wearing Swinging London-style glasses. 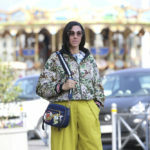 But in order to keep in step with the times, I suggest mixing and matching without overdoing the “vintage” look, with wide-legged green pants and a tropical T-shirt. All by Babylon Bus.